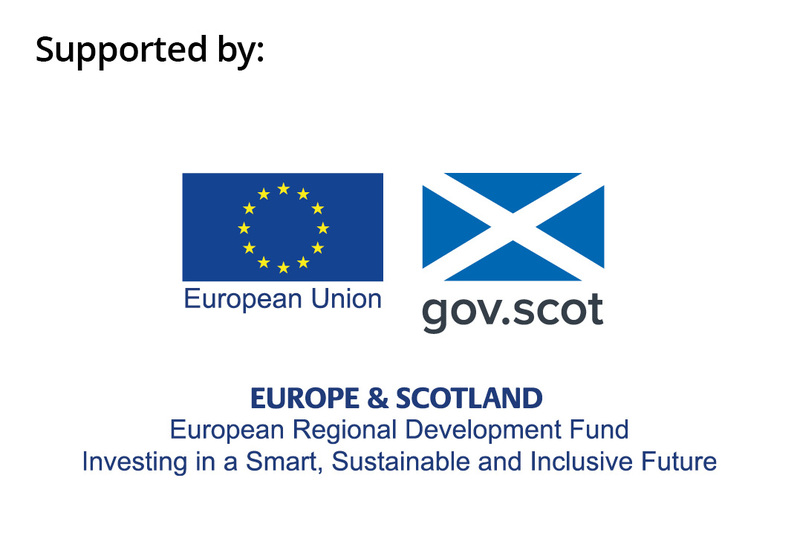 Scottish small to medium sized businesses (SMEs) have cashed in by making energy efficient improvements thanks to an interest-free SME Loan, backed by Scottish Government and European Regional Development funding. The Minister for Energy, Connectivity & the Islands, Paul Wheelhouse, paid a visit to ACS Clothing yesterday (Wednesday 16 January) to see how switching out old halogen and tungsten lights for smart LEDs will save the business an estimated £20,000 a year. While the formalwear hire company already boasts a resource efficient business model by offering clothing for special occasions available to hire rather than buy, Operations Director, Tony Burns, also wanted to tackle rising energy costs and reduce their carbon footprint. ACS Clothing in North Lanarkshire acted on advice from the Resource Efficient Scotland programme, delivered by Zero Waste Scotland, to upgrade their lighting. Zero Waste Scotland is calling on small to medium businesses across Scotland to join ACS Clothing and contact the Resource Efficient Scotland programme to see how they can benefit from bespoke efficiency audits, advice and support, interest free loans and online support tools. “Energy efficiency not only helps fight off damaging climate change but also helps businesses to reduce costs and increase their economic competitiveness. The SME loan scheme has been a key driver in facilitating more organisations in Scotland to become energy efficient with businesses across the country having benefitted from over £26 million in loans since its launch. The annual savings that ACS Clothing will achieve are a great example of why this is of value to businesses. Backed by Scottish Government funding, eligible small and medium sized businesses can apply for an unsecured, interest-free loan of up to £100,000 and receive 15% cashback up to £10,000, while funds last. “We want to accelerate what is already taking place to make sustainability a reality for the Scottish business community. Small to medium sized businesses have a brilliant opportunity to reduce their energy and water use, and manage waste more efficiently with help from the loan scheme. Nearly 1000 projects across Scotland have been supported since the launch of the SME Loan scheme. ACS Clothing is one of the busiest formalwear hire companies in Scotland as they deliver kilts, suits, dresses and much more to retail outlets and individual customers across the UK. After the clothes are returned to the warehouse, a meticulous laundering service is carried out – all of which requires a significant amount of energy. The lighting upgrades allowed the business to drastically cut down on the amount of energy needed. LED lighting is by far one of the most effective ways to save as they can save around 90% of the energy consumed by tungsten and 70% of that by compact fluorescent lamps. “Applying for the loan was a no-brainer really. Our staff started the ball rolling by talking about how we can recycle more, cut down on waste and be more energy efficient, hence that’s when we started to look at lighting upgrades and we found out we could get some support to achieve that. “It makes perfect sense because it’s financially beneficial but also, we have a duty of care as a company to do the right thing for the planet. The Resource Efficient Scotland Advice and Support Service provides free, expert support to small and medium-sized businesses to cut energy usage. By following their advice, businesses can save 24% on their energy bills, on average. Funding support to prevent waste is also provided through the Waste Prevention Implementation Fund, all in the effort to cut operating costs. To find out more about the SME Loan with 15% cashback, and to apply, call the Resource Efficient Scotland programme on 0808 808 2268, email enquiries@resourceefficientscotland.com or visit our website: www.resourceefficientscotland.com/SMELoan. Since its launch in 2008, the SME Loan Scheme has provided Scottish businesses with over £26.24 million in loans for over 968 projects, resulting in estimate heat and electricity energy savings of 438 GWh and financial savings of over £49 million. Applicants will receive a free independent assessment which is required to support the loan application. Dedicated advisors are on hand to guide them through every step of the process.